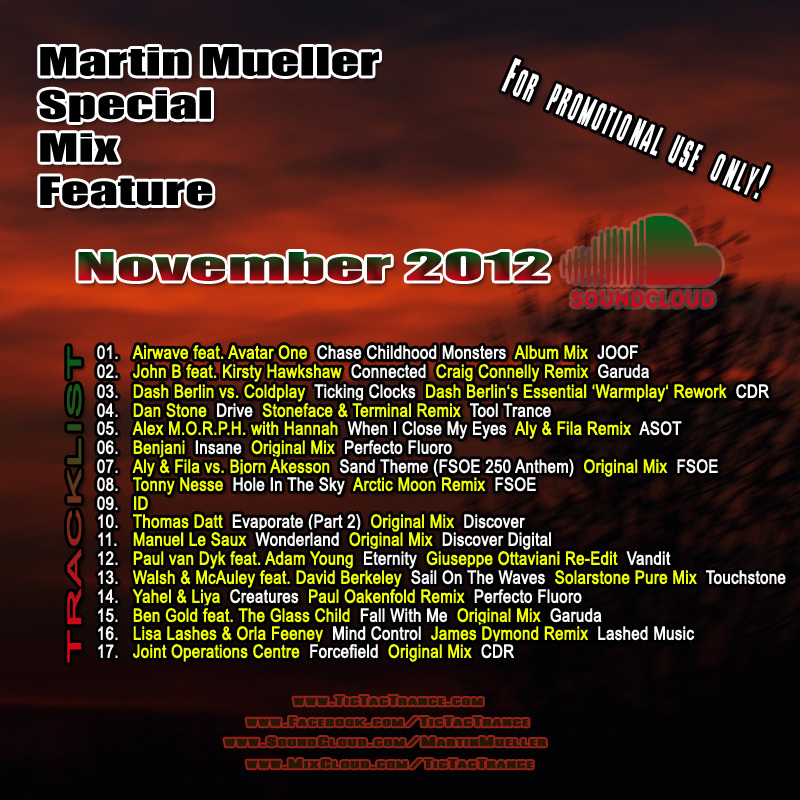 Some tunes are included in my Soundcloud Mix November 2012 aswell! 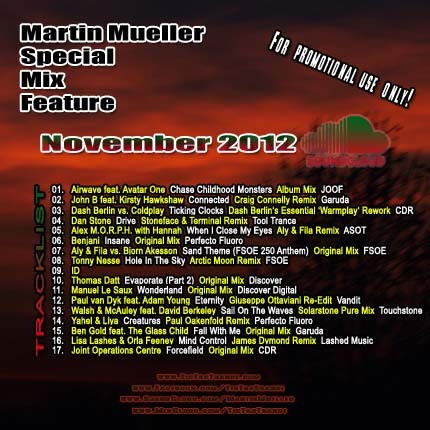 Soundcloud Mix November 2012 available! My Soundcloud Mix Series is back with 17 fresh tunes mixed into just one hour! Lots of vocal trance tunes included this time! It features tunes and remixes by artists like Dash Berlin, Stoneface & Terminal, John O’Callaghan, Aly & Fila, Solarstone and many many more! It’s now available on my SOUNDCLOUD page. Enjoy! 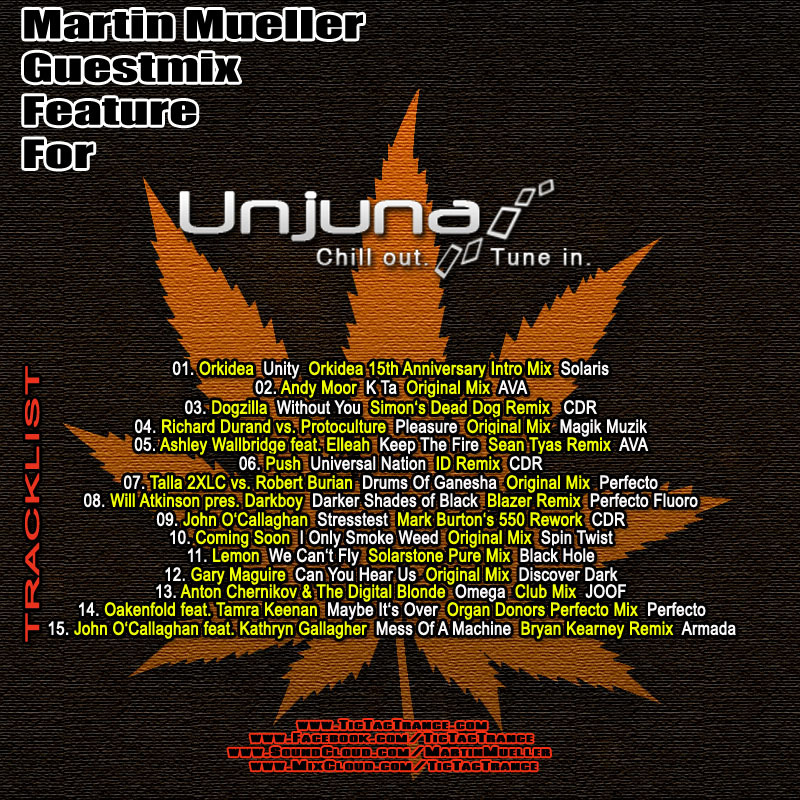 Unjuna Mix Competition Entry now available! The mix I made for this year’s Unjuna Mix Competition is now available free to download! You can get it on my MIXCLOUD page or at ZIPPYSHARE. Tracklist included in cover image. Tic Tac Trance #059 Replay available! It’s almost there! 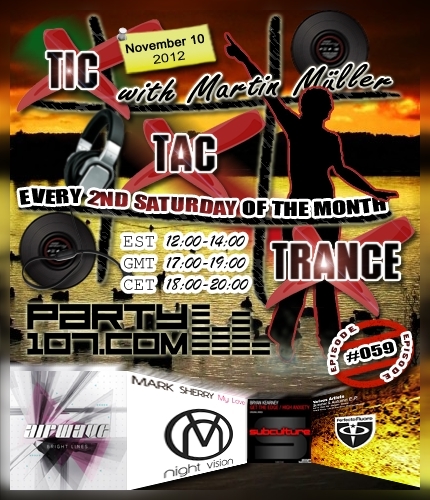 Episode #059 of Tic Tac Trance will be broadcasted on November 10 2012 on Party107 and will feature new tunes by artists like Mark Sherry, Bryan Kearney, Nelix and sneak previews of Airwave’s album “Bright Lines” and Paul Oakenfold’s compilation “Four Seasons Autumn & Summer“! This time I’ve prepared a very crazy 2 hours journey which features many different styles of progressive, uplifting, psy and tech trance. Make sure to tune in!